A Skittish Crossing is an installation that demonstrates my interest in combining engineered structures and delicate effects to create a contemplative space. 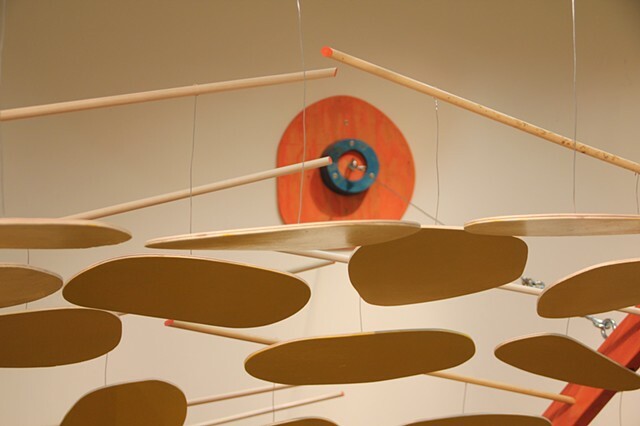 Thematic connections to previous works include an emphasis on textures, mechanical components and an array of hanging pieces that establish a type of plane. In A Skittish Crossing, the curved plane establishes a relationship of two sides, an in and an out. The piece pulls conceptually from scientific theories on the behavior of energy and weaves it to the tentative journey of foraging fauna.